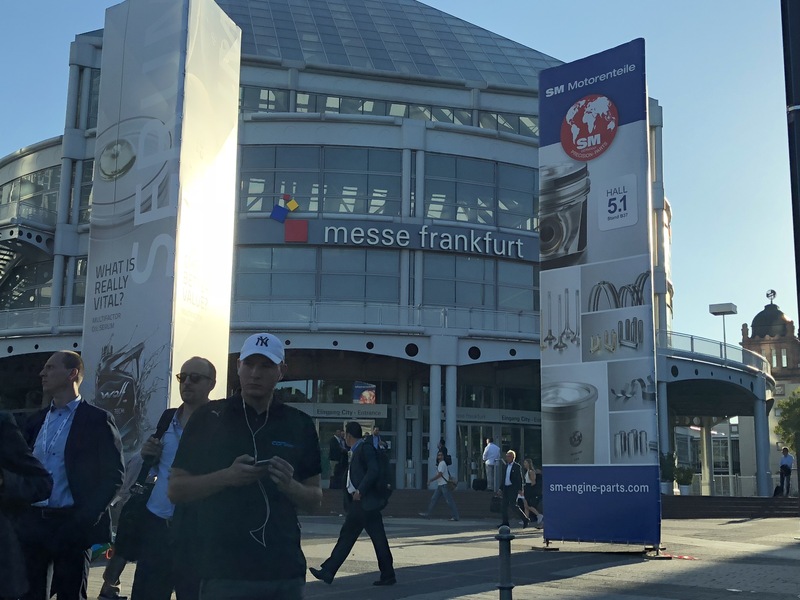 Automechanika Frankfurt concluded on 15 September following five trade fair days with a record number of exhibitors, more visitors than in 2016 and a new record for the amount of exhibition space. The event drew 136,000 trade visitors from 181 countries. The automotive industry is in a constant stat of flux. Visiting Automechanika Frankurt helps you find out what is new in the sector and gives you access to a first-class supporting programme of lectures and training opportunities. 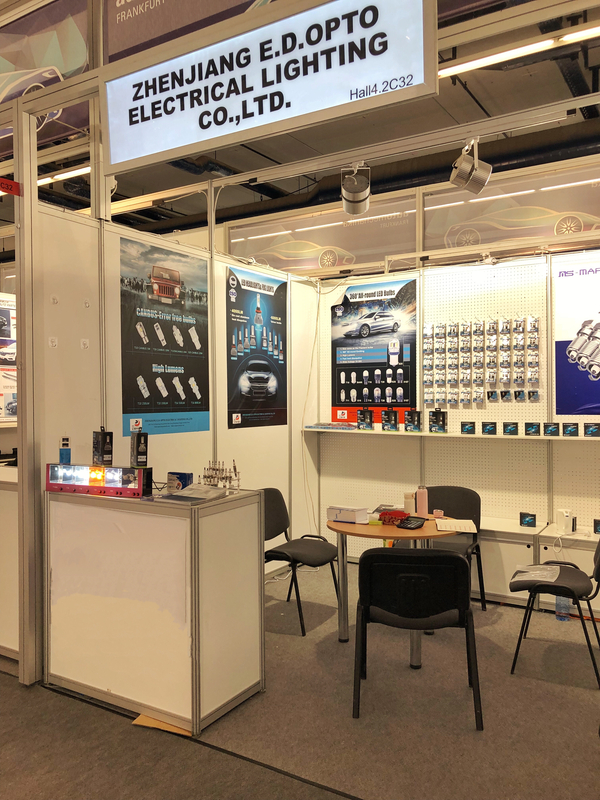 It’s our third time at the Automechanika Frankfurt. Compared to previous two times, we meet more professional visitors from all over the world. Like Germany, Russia, Brazil, Poland, Netherland, Spain, Italy, UK, Greece etc. We also had a great preparation for this big convention. Samples , catalogues, posters were all new make for European countries. During the exhibition we discussed with visitors about the market in their countries, the LED bulbs situation, and new trend in the market. These are very important informations to us make suitable products. 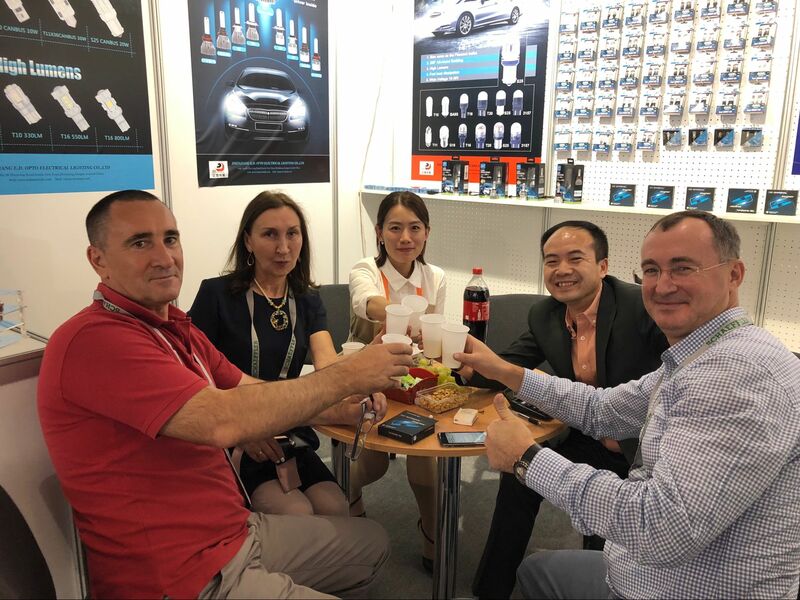 Like some customers feedback to us people in their country don’t like FAN type headlight at all, just because the first batch of FAN type headlights are burn out quickly. So even now the technology of FAN have improved more than before. But customers still afraid of FAN type bulbs. and some users just like the LEDs super bright. They think the brighter the best. Actually it’s not safe for driving. Meanwhile, we visited some professional company in bulb’s industry, like Philips, Osram, GE…and study their high-tech products, and ideas. Two weeks passed, few customers have been got in touch with us, discuss the details which we have or what they like. Hopefully, we will cooperate with them soon.